Every time you visit your dentist, you know the one question he is sure to ask, “Have you been flossing regularly?” It is important to understand that brushing alone cannot clean all of the surfaces of each tooth. Each tooth has five surfaces and the toothbrush can only access three of them, so by flossing you are able to reach the areas that normal brushing cannot access. People might think that flossing does not do anything significant. Obviously, the bacteria in your mouth are very small which the naked eye cannot see. But believe me, they are between your teeth right now. Overnight the bacteria will reproduce to create more than a million cells from the original cell! By proper flossing, you will remove 40% of the sticky bacteria or plaque from your teeth. 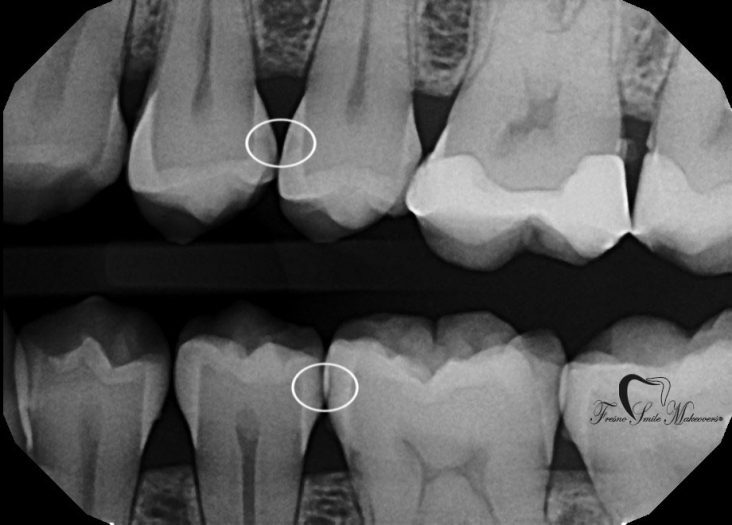 As you can see in this real radiograph (X-ray), dental decay has developed due to lack of flossing. Yes, of course you do have “TMJ” (temporomandibular joint), actually I have two of those : ). People often say “oh, I have TMJ” instead of “TMJ disorder.” TMJ is a joint in our body like our knees. It is somewhat hard to determine why people develop TMJ disorder. 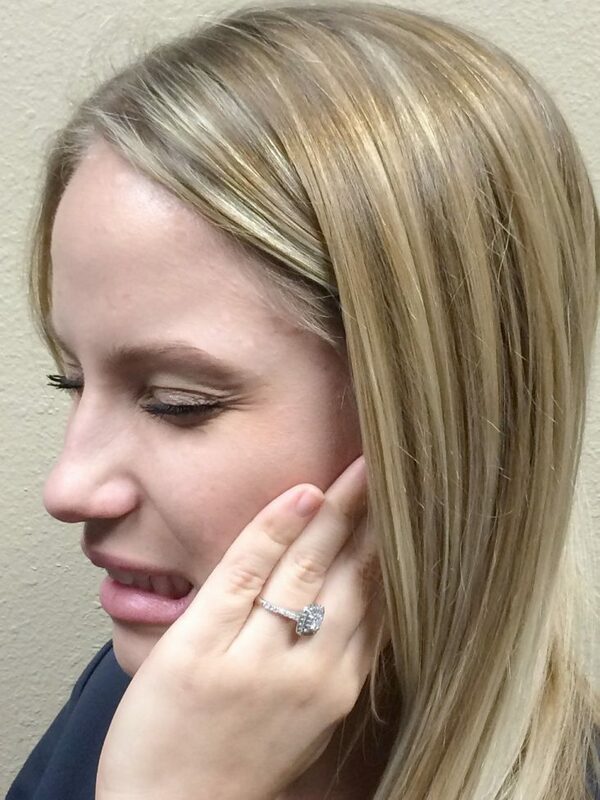 TMJ disorder can cause symptoms, such as jaw pain, headache, and restrictions in jaw opening. People with TMJ problem tend to clench and grind their teeth. If you have experience any of these symptoms please call our dental office to help you treat and alleviate the pain. Eva Grayzel, a professional interactive performance artist, was diagnosed with late-stage oral cancer at age 33 and told she had a 15 percent chance of survival. After she was cured, she started a Six-Step Screening, to raise public awareness about the early signs of oral cancer. Click on link below to see the self-exam sheet.